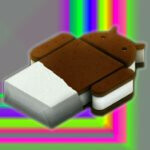 Obviously, we can drool about the upcoming Samsung Galaxy Nexus in our dreams, and even the razor thin construction of the Motorola DROID RAZR, since both of them are the poster childs of Android 4.0 Ice Cream Sandwich. Not surprisingly, there are some people out there who are probably slamming their heads against the wall for picking up a top-notch Android smartphone right now, say like the Samsung Galaxy S II, rather than waiting to pick up those aforementioned devices. Needless to say, there are going to be some ecstatic owners out there, but it’s not certain for sure if Android ICS will be coming to all devices in markets outside of Italy. Regardless, it’s one serious undertaking by the Korean based company to follow through with this anticipated roll out, but if they’re able to do it, we’re sure that they’ll be able to concretely reel in some loyalty during the whole process. Samsung did initially say yes, but who knows....a mod will be made for our phone. I hope Samsung USA and AT&T can get their acts together. why wouldn't all recently released phones be updated to ICS? I thought Google had that announcement that any android phone will stay software current for at least 18 months guaranteed? Thats going forward, not retro-active on already released phones. Taco? did you get banned? lol. or is this someone just playing with his name? Since the stock UI is now heavy like a touch Wiz or a Motoblur, I think It should be easy for phones similarly spec'd to the Nexus to keep up with it in the update department. Just gonna boil down to the carriers and manufacturers still of course. Expect your GSII update to ICS approx. 12 months from now maybe, then they'll halt the ICS roll out for another couple of months due to problems, after that Ole Sammy will ignore the SGII and pump the SGIII with ICS down your throats! Don't go for it! I did twice with the Epic and Moment! I think I will just hang on to my vibrant till next year. do it if you can. patience is the key to winning this game. anyone else notice that when you put your discussions in Chronological order it stays that way where ever you go? i'm still trying to decide if i like that or not. But, will they add Touchwiz on top? I'm not sure I want to see that love child. i...guess not? o: hm. it would be something else if it got a stock ICS upgrade. there would be so much joy in the world. they might do what i think Motorola is doing with Honeycomb and slightly customize it with their own icons and such but leaving the stock feel intact or they may do like they did with the Tab 10.1 and skin it in an update later on. Should I get AT&T galaxy s 2 or galaxy nexus? And will nexus ever be available to AT&T customers on contract? i'd say wait a little while longer. If your in need of a phone now I would go with the GS2 just as I did. :) For one it has a better processor then the Nexus and it also has a better cam then the Nexus. Also another reason is that there is not any guarantees that the Nexus will be coming to AT&T and like networkdood mentioned it is just a matter of time before we get the upgrade to ICS. i'd say to wait for an LTE device. that's obviously what AT&T plans to push further along in the future so that makes AT&T's HSPA+ like the dead man walking now not to mention it's the worst "4G" you can get. you never know. AT&T might just get a version of the Droid Razr in the near future being that Motorola released a phone like the Atrix 2 for AT&T's budget market so i'm sure they'll want a high-end device in their line-up as well and there's still a good possibility that the Nexus will be made available to AT&T with LTE connectivity as well.